Each month, Beat the Streets Philadelphia recognizes one student-athlete as ‘Wrestler of the Month.’ Selections are made based on recommendations from coaches, mentors, and/or BTS staff. Recommended by coach Ian Hammond and BTS staff member Dan Altomare, the Wrestler of the Month for August is Aboubakare Diaby! Champions don’t become great by training when everyone else does; they do so by working while their competition rests and when nobody is watching. For Aboubakare, this mantra has defined his summer not only on the mat, but in the classroom as well. While most kids chose to stay home and relax, Aboubakare challenged himself. Over the past three months, he chose to partake in the Beat the Streets Summer Program and attend wrestling camp in North Carolina. In the Summer Program, Aboubakare was engaged daily; he asked questions, honed his math skills, and attended every single class. Additionally, Aboubakare traveled with a select group of Beat the Streets wrestlers to North Carolina for a week-long wrestling camp. 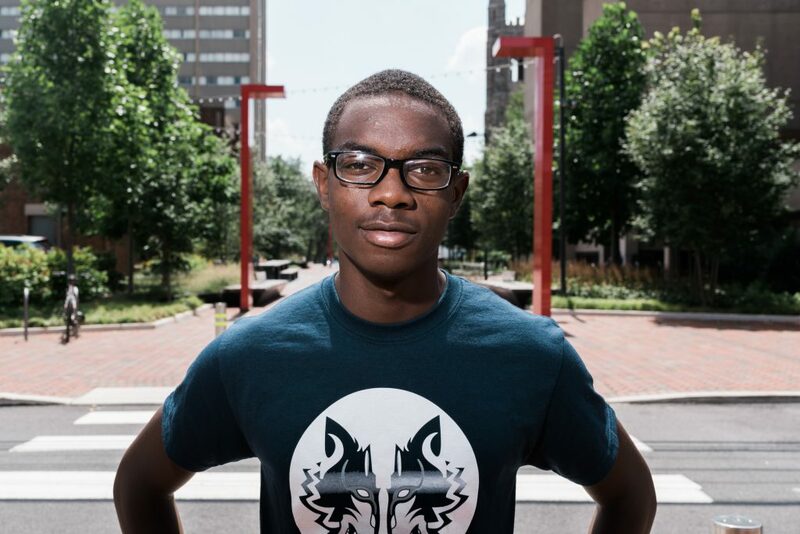 For his commitment to learning, dedication to wrestling, and overall embodiment of what a Beat the Streets Philadelphia wrestler should be, Aboubakare is an extremely deserving recipient of this distinction. From a wrestling standpoint, what Aboubakare enjoys most about wrestling is the individuality within a team sport. He says wrestling has taught him a lot about accountability. To him, this means not just taking credit for his successes, but owning up to his failures. He looks forward to continuing to wrestle at Central High School and competing at 126. Looking past high school, Aboubakare has his sights set high. At this point, Aboubakare says that he’s interested in studying civil engineering. 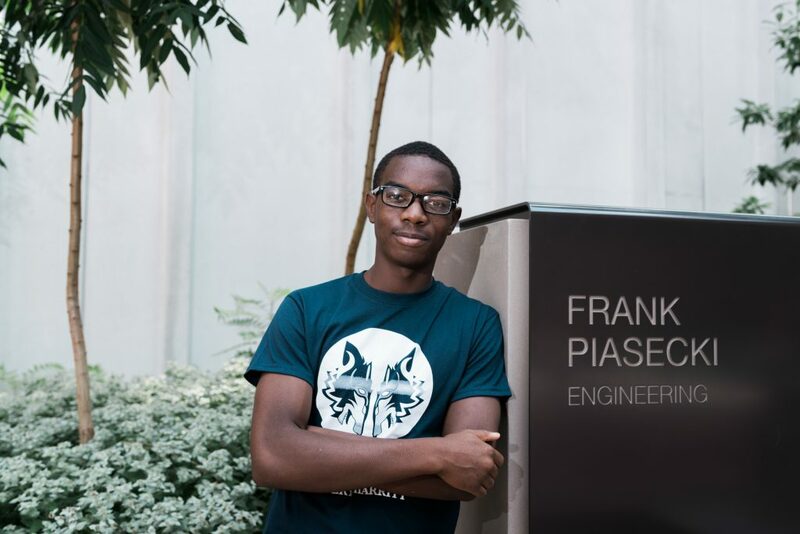 His interest in engineering stems from his enamorment with the buildings in Philadelphia and how some structures are both creative and functional. Secondarily, he has considered studying law. Aboubakare attributes this interest to his dissatisfaction with the judicial system as it currently stands and says he wants to be part of the change he hopes to see in the future. His favorite school is Penn State University. Lastly, Aboubakare told us that his favorite athlete is Kyle Dake. He chose Kyle Dake because of how much he admires his persistence in challenging Jordan Burroughs. Despite falling short to this point, Aboubakare sees resilience in Dake and cites his recent close matches as reason to believe that a win over Burroughs isn’t far off. For those who didn’t know Aboubakare before reading, we hope this sheds some light on who this awesome kid is. If you’re a coach, volunteer, parent, or part of the Beat the Streets Philadelphia community, we bet you know some other other kids who deserve to be recognized as well. If there’s a wrestler at your program who has done an outstanding job, contact us at btsphilly@btsphilly.org, write ‘WOM-(Wrestler Name)’ in the subject line, and tell us briefly why the student-athlete you’re recommending should be recognized!